knuckleball, Fitz also had the reputation as the game's best fielding pitcher. Fitzsimmons was both a fierce competitor and one of the most admired players of baseball's Golden Age. When discovered by Giants' manager John McGraw in 1925, Fitzsimmons became a household name to baseball fans around the country. A mainstay of the New York rotations of the 1920s and 1930s, Fitzsimmons pitched in the 1933 and 1936 World Series, where he suffered painful losses. 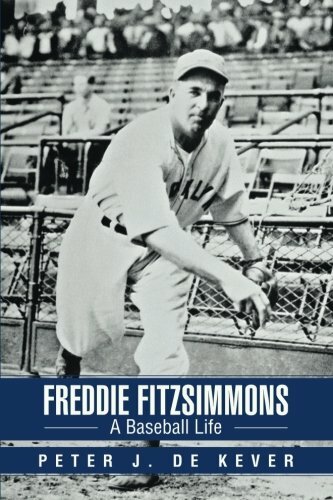 Being traded to the Brooklyn Dodgers in 1937 rejuvenated Fitzsimmons and brought him back to the World Series one last fateful time in 1941. When his playing days ended, Fitzsimmons managed the Philadelphia Phillies and later coached for the Giants and several other teams. In Freddie Fitzsimmons: A Baseball Life, Peter J. De Kever brings to life Fitzsimmons's colorful character and most memorable games. Fitz's life in baseball spanned nearly half a century and brought him into contact with many of the game's luminaries, such as Babe Ruth, Bill Terry, Leo Durocher, and Willie Mays. A central player in the great 1941 pennant race, Fitzsimmons also witnessed Bobby Thomson's "shot heard 'round the world" a decade later. These and other stories figure prominently in this first biography of Freddie Fitzsimmons.